Every child and family is successful, resilient and hopeful. To support young children and the adults in their lives to grow, learn and imagine in positive ways. Family Connections is a network of local agencies and programs working together to support families and promote healthy growth and early learning in young children. 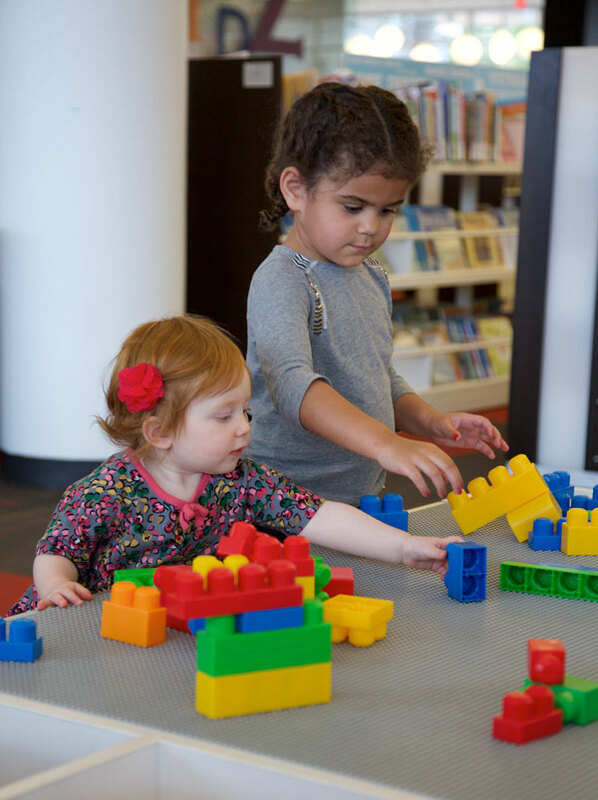 Currently, fifteen non-profit agencies have signed an agreement to dedicate time, staff and services for young children and families at the library. Partner programs cover multiple life areas such as physical & emotional health, early education, child care, family stability and improvement. A Lab helper will be available to Lab users during their appointment. Lab appointments should be during normal library hours, but must be made with at least two weeks notice. To schedule a Lab appointment, contact the Library at 319.261.READ or email family@crlibrary.org. Want to get Involved with Family Connections? There are a number of ways for you to become active with Family Connections. Attend a Family Connections activity/event. Have your agency become a full Partner. Do you do trainings/education/activities with children, families or child care providers? Consider doing it at the library! Volunteer to help at a Family Connections sponsored event. Promote your program/agency by doing some outreach. Man an info table during Family Connections Spotlight or write about your organization for our monthly newsletter. Sponsor a Family Connections event. Have a knack for Communication or Marketing? Serve on our Communication Team. Share your knowledge, present at and attend a monthly Family Connections Brown Bag Lunch Talk with area non-profit partners.